Damascus Int. Airport is an airport in Syria. 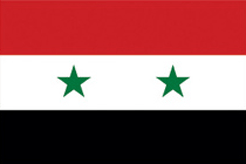 Find all facts and information about Damascus Int. Airport. The distance from Damascus Int. Airport to Syria's capital Damascus (Damascus) is approximately 23 km / 15 mi (as the crow flies).